Our unique carpet process can tackle and clean carpets in the worst possible state to create amazing results. 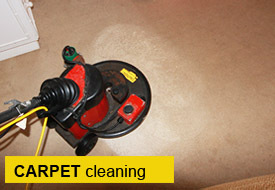 Our carpet cleaning service will create a safe, cost effective alternative to replacing the carpet. It will also minimise disruption to your home or business as we use truck mounted power for a faster drying time. The Castle at Taunton is a luxury Hotel in the heart of Somerset. We are used on a periodic basis to clean and maintain the carpets and rugs throughout the Hotel, ensuring they are always looking clean and stain free. Due to the fact that our carpet cleaning process is fast drying, the bedroom carpets can be cleaned then occupied without costly delays for the Hotel. We use the most thorough cleaning method there is. Our method doesn't leave residue or cause shrinkage and is the most powerful carpet and upholstery cleaning process around.